James Harden’s streak of games with at least 30 points is now at 17 consecutive games, and he seems to only be getting more ridiculous as the streak goes on. 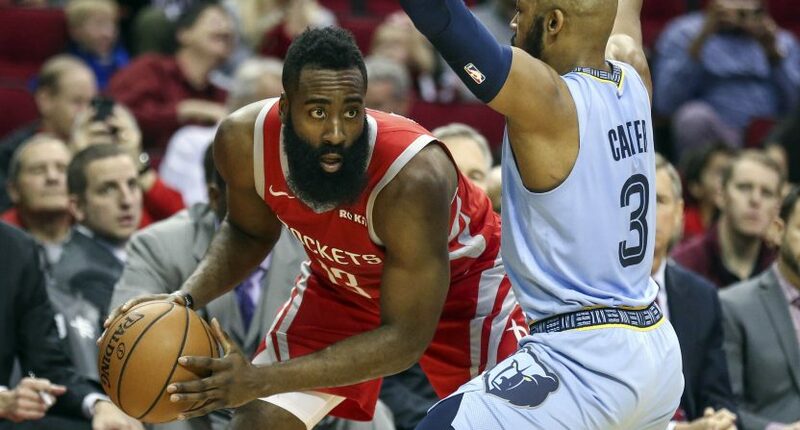 Harden scored 57 points in only 34 minutes played in the Houston Rockets’ 112-94 victory over the Memphis Grizzlies on Monday night. To score that many points so quickly is going to take a lot of efficiency, and Harden was particularly great at the free-throw line. The lefty hit 17-of-18 shots from the charity stripe, while also making 17-of-33 shots from the field and 6-of-13 behind the arc. Harden scored 42 more points than anybody else on the Rockets. Oh, and the 30-point game streak puts him in some pretty special territory. The 17th straight 30-point game moved Harden ahead of Kobe Bryant, and the only players with at least 17 consecutive 30-point games are Elgin Baylor and Wilt Chamberlain. Harden will look to extend his 30-point streak to 18 games when the Rockets host the Brooklyn Nets on Wednesday night.